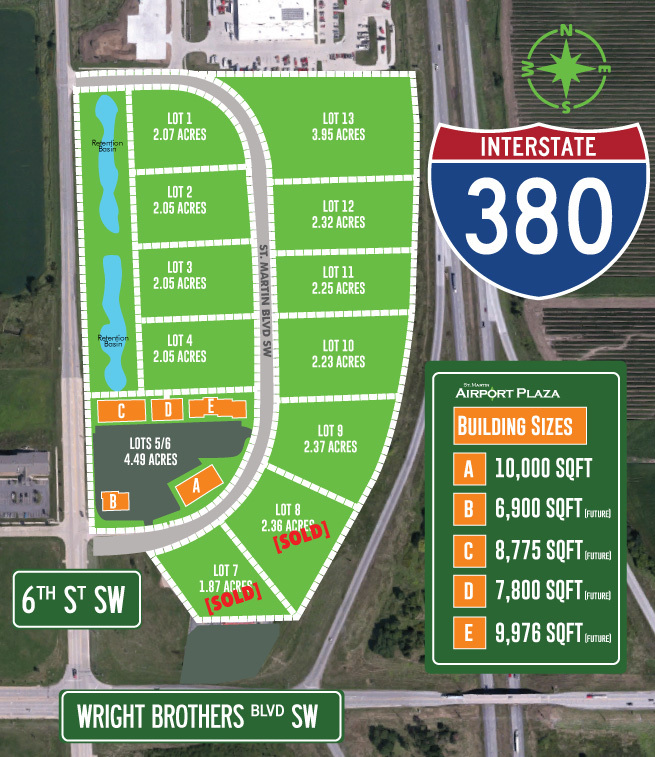 The St. Martin Airport Plaza is a 36 acre professional business park located in the heart of Eastern Iowa’s Technology Corridor at Interstate 380 (exit 13) and Wright Brothers Blvd. SW in Cedar Rapids, Iowa. 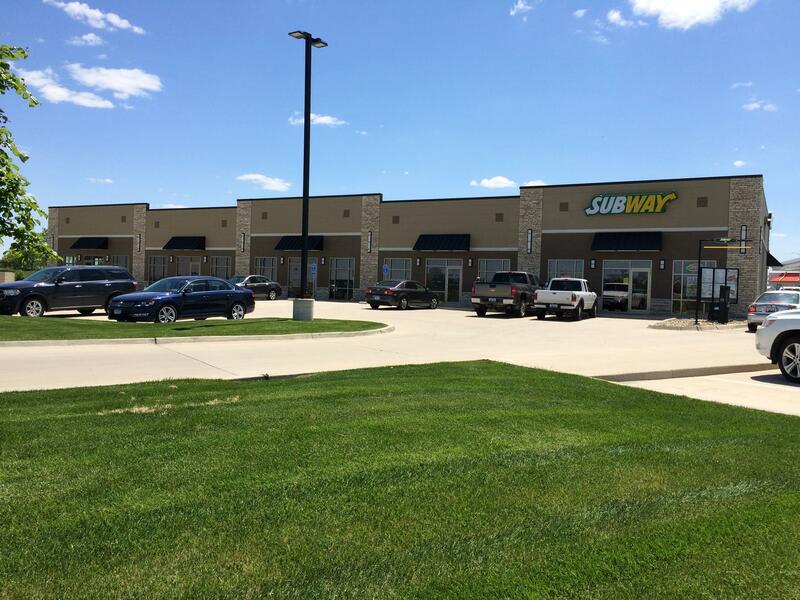 This highly visible location is just moments away from the Eastern Iowa Airport with superior interstate access north to Cedar Rapids, Waterloo, state highways 30 and 20 and south to Iowa City and Interstate 80. Office, retail and distribution space is available for lease, in addition to flexible lot sizes for “build to suit” applications. All infrastructure, including fiber optic communications and advanced technology, is in place and ready to be connected to your new business location: St. Martin Airport Plaza. 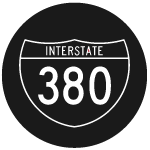 This site has a 45,000+ daily traffic count. The site consists of 12 to 15 lots serving the office, retail, warehouse/distribution, service, restaurant and lodging industries. Flexible lot sizes are available for sale or lease for “build to suit” applications, which can be split or combined to meet specific business requirements. Businesses at Airport Plaza will benefit from superior interstate visibility and access, while utilizing the latest in communications technology. Ideal location for satellite or main offices for businesses which frequently host air-traveling business associates or for the building of facilities to manage air freight for supplies or product distribution. It is anticipated that the total development will involve in excess of $25 million in new construction on the property. The Airport Plaza area is on the City of Cedar Rapids public transportation route. Airport Plaza is developed by St. Martin Airport Plaza, LLC, a wholly owned subsidiary of the St. Martin Land Company.